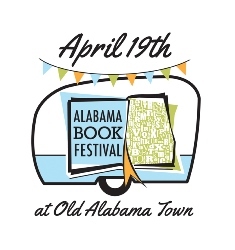 Some 55 authors will converge in Montgomery’s Old Alabama Town April 19, 2014, for the 9th Annual Alabama Book Festival (ABF). During the free, daylong, family-friendly festival, authors will read excerpts, answer questions, and be available to sign books. Local, independent bookseller Capitol Book & News will provide books for the festival at an onsite store in the Grange Hall. According to coordinator Gail Waller, the Alabama Book Festival offers something new for aspiring writers this year. “For those wishing to write and publish their own work, festival-goers can sign up in advance for two free, hands-on workshops,” Waller said. At 9 a.m. award-winning author Donald Anderson leads The Fundamentals of Fiction, and at 1 p.m. New York Writers’ Workshop co-founder Charles Salzberg presents Getting Your Work Published. Both workshops take place in the Loeb Center adjacent to Kiwanis Park and require pre-registration online. Spend the day in workshop with two outstanding Alabama Book Festival authors on Friday, April 18, 2014, the day before the 9th annual Festival, held in Montgomery’s Old Alabama Town. Alabama teachers in grades 7-12 are invited to join Kelly Norman Ellis and Donald Anderson for an exciting day of writing workshops free of charge. These workshops are designed to introduce teachers to new strategies for integrating creative writing into language arts and English curricula. Teachers have the opportunity to write in both sessions. At the end of the day, participants will receive a certificate of participation for eight professional development contact hours. Pre-registration is required. On March 12, 2014, students, teachers, family members, and guests gathered in the Old Archives Room of the Alabama State Capitol to celebrate the 20th Annual Alabama High School Literary Arts Awards and Scholarship Competition (HSLAA) ceremony. Students from twenty-three schools received a total of 100 awards for their poetry, fiction, creative nonfiction, and drama. Six students received scholarships for their senior portfolios, and the competition recognized eight student-produced literary magazines. Prior to the ceremony, state legislators took a break from committee meetings to congratulate their young constituents. The 19th Poet Laureate Consultant in Poetry at the Library of Congress, Natasha Trethewey, has selected poet and Talladega College alumna Honorée Fanonne Jeffers as the recipient of a Witter Bynner Fellowship and has named poet and Gadsden native Jake Adam York posthumously as a fellow. Commenting on her selections, Trethewey said Jeffers and York "are two American poets whose work deserves a wider audience." Trethewey introduced a program celebrating the fellows on March 26 in Washington. Jeffers read her poetry, and Trethewey read the work of York, who died in December 2012. The University of Montevallo (UM) will host poets Gregory Fraser and Caki Wilkinson and prose writers Tim Parrish and Wendy Reed during its yearly Montevallo Literary Festival (MLF), to be held Friday April 11 from noon until six at Carmichael Library. The event will feature readings from all four visiting authors, fellowship and scholarship presentations to UM student writers, and a book signing, with appetizers catered by Eclipse Coffee and Books of Montevallo. This event is free and open to the public. More than two dozen writers will read from their work during the Slash Pine Poetry Festival, Friday, April 11, and Saturday, April 12, in venues at The University of Alabama and in downtown Tuscaloosa. The events are free and open to the public. Among the writers reading at the festival are Sean Patrick Hill and Shane Seely, winners of the Slash Pine Poetry Chapbook Contest. Also featured are Sean Sexton, author of The Empty Tomb (Slash Pine Press, 2013), and local writers, including Jason McCall (winner of the 2012 Marsh Hawk Press Poetry Prize), Joseph P. Wood (managing editor for Noemi Press), and Norman Golar (chair of the Stillman College English Department). The Alabama Writers Symposium (AWS) will celebrate its seventeenth anniversary in Monroeville, Alabama, Thursday, April 24 through Saturday, April 26, 2014. Exploring the theme Saints and Sinners, the 2014 Alabama Writers Symposium program will challenge preconceived ideas of good and evil and of real and imagined places. 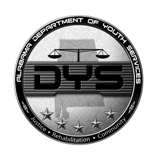 Participants should register for the event by April 4. Some of Alabama’s most celebrated writers and scholars will lead discussion sessions, readings and workshops. Writers and scholars participating in the event include Mark Childress, Koethi Zan, Sena Jeter Naslund, Robert Inman, Roy Hoffman, Charles McNair, Kirk Curnutt, May Lamar, Andrew Hudgins, Jennifer Horne, Sandra Jaffe, Glenn Feldman, Adam Vines, Don Noble, Richard Anderson, Wayne Flynt, Anita Miller Garner, Lisa Graves Minor, Jacqueline Allen Trimble, Jason Walker, and songwriter Bobby Horton. Auburn University Montgomery (AUM) will host four free events in celebration of April’s National Poetry Month. The highlight of the series is a poetry reading by Denise Duhamel on April 28. Duhamel’s most recent book of poetry, Blowout (University of Pittsburgh Press, 2013), was a finalist for the National Book Critics Circle Award. Her other books include Ka-Ching! (Pittsburgh, 2009), Two and Two (Pittsburgh, 2005), and Queen for a Day: Selected and New Poems (Pittsburgh, 2001). Duhamel, a professor Florida International University in Miami, is the guest editor for The Best American Poetry 2013. Other events are a poetry reading with local poets Jeanie Thompson, Tony Crunk, Jessica Cornelson, and Kimberly Wright at the Cloveredale Playhouse on April 7; an open mic at Booker T. Washington Magnet High School on April 14; and a poetry workshop with Barbara Wiedemann on April 21. The public is invited to participate in all the events held on four consecutive Mondays. Susan M. Abram has been awarded the Anne B. and James B. MCMillan Prize by the University of Alabama Press for her upcoming book The Forging of a Cherokee-American Alliance in the Creek War. Fairhope Mayor Tim Kant recently issued a proclamation of achievement to the Fairhope Writers Group for their artistic efforts in promoting the spirit of Fairhope in print. Virginia Gilbert took First Place in the first week Sakura haiku competition, sponsored by the Birmingham Public Library. Attract a larger audience for your literary events with the Forum’s Events calendar. Some 2200 book lovers receive Literary News each month, and a number of these readers check our calendar for literary events in their areas and beyond. We fell a bit behind this semester, but we’re trying to catch up, so please continue to submit your events. 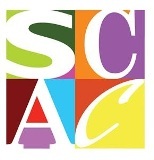 Each week on the Alabama Arts Radio Series, staff members of the Alabama State Council on the Arts visit with writers, musicians, visual artists, and other individuals who contribute to our state’s rich artistic traditions. Recent literary interviews include Joseph D. Trimble, Xan Morrow, and Frank “Doc” Adams and Burgin Mathews.